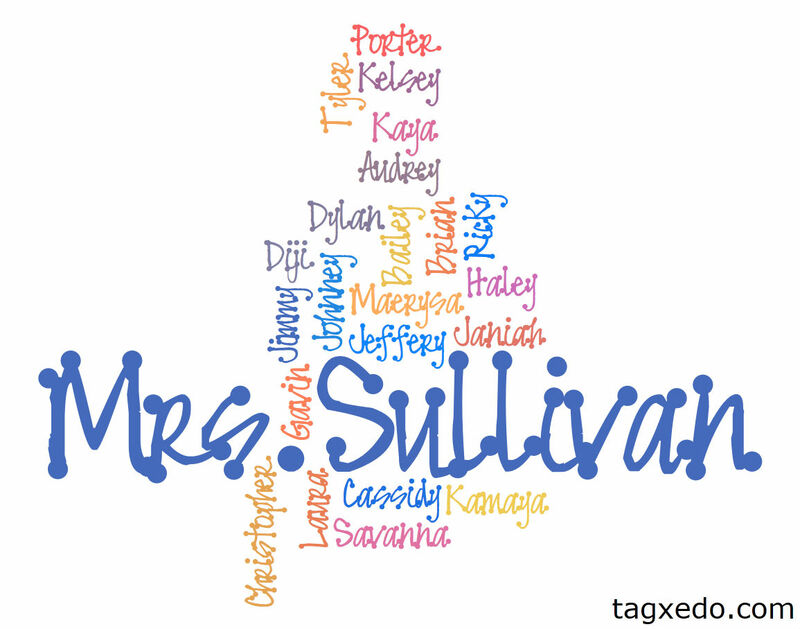 Mrs. Teachnology: Tagxedo! You're It! One of my favorite, free web tools to use with my kiddos is Tagxedo. This website allows you or your students to create word collages for FREE!!! You simply go to www.Tagxedo.com and click Start Now. Then, you click Load and start typing words. 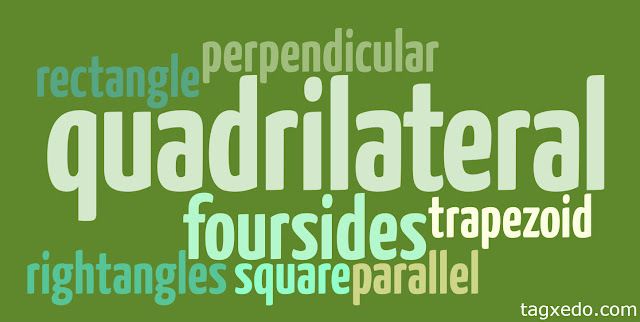 You can choose from a variety of fonts, color themes, orientations, and shapes. You can even load one of your favorite fonts that you have saved on your computer. That can be done by clicking on the Font tab and then clicking Add font at the bottom of the screen. My students created collages using vocabulary words they learned during a geometry unit. They were assigned a term that they had to describe using "math words". Here is a finished product for the term quadrilateral. They also created collages during a Civil War unit to review key information learned during the unit. There are so many ways this site can be used throughout the school year, and it is so, so easy. My third graders had absolutely no problem working with the site on their own. *Students can type in a piece of their writing to check for repeated words. This could help during the revising step of the writing process. *Make a collage of verbs, adjectives, and nouns. *List names of students in reading groups, conference groups, desk groups, etc. 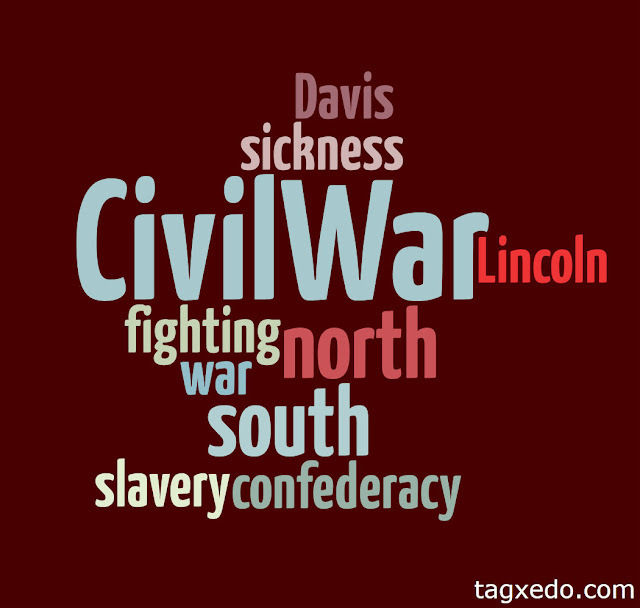 *Create a collage of words related to a character trait. This possibilities are endless! I will definitely be sharing how I use this tool throughout this coming school year for projects in my classroom. Have you ever used Tagxedo? What ideas do you have for using it in your classroom? To make the words larger, just type them more times than the other words. I typed my name seven times and the kids' names one time each. I hope this helps! Love this! Thanks so much and I look forward to reading more on your blog! Ok, this is soo cute and I would really like to do this class list, but I am struggling?! I want the shape as a fish, my name larger, and for all the kids names to only appear once and I can't do it!! I am not sure what I am doing wrong. Any suggestions? Thanks!!! I am really sorry you are having trouble. I wrote a post with a tutorial today if you would like to check it out. I included the answers to your questions there! I can't seem to get to the point of entering names. I click on Start Now but it takes me to a cloud that is already made. How do I get to the point of putting in my names? You need to click on load when it takes you to the ready made cloud. Type your words in and then submit. It will change the words they have to yours. You might want to check to be sure your Flash/Java is updated. Also, it requires the installation of Microsoft Silverlight, but it should prompt you to install. You need to make sure you are typing your name in multiple times and your students' names only once. Sometimes some of the words will disappear, but you need to keep refreshing the layout. It also helps to go in and type your name one more time and click submit. Make sure you have your Picture set to Classic (V). If you still can't get it to work, email me your names and I will try to do it for you! 1. Find the image that you want. I hope this helps! Let me know if I can help in any other way. Thanks for the information on how to add the image! I used your advise and made a tagxedo for my blog post! Thanks! Can you tell me what shape you used for your collage? Also, do you know if there is a way to choose your own color combinations? I want to use just red and black. I can't seem to download Tagxedo correctly, any guidance? On my PC it wants to install Microsoft silverlight and even after that, it wont open....?? Thank you so much for sharing a such wonderful teachnology tool. I am a Mandarin teacher, I found a China map in Tagxedo. I will make it for all my students as the end of year gift, also it helps me to promote Chineses language to the parents.